It’s amazing how many business people start the year without a road map for what they want to achieve. You hear all kinds of excuses…too much to do or it doesn’t get used or I have no time….etc…etc. Well here’s a simple 1 page format that will get you on your way. All it takes is a few hours of careful thought and you can be on your way. It assumes however that you have a good understanding of your business and can articulate what you want to accomplish in the next 12 months. 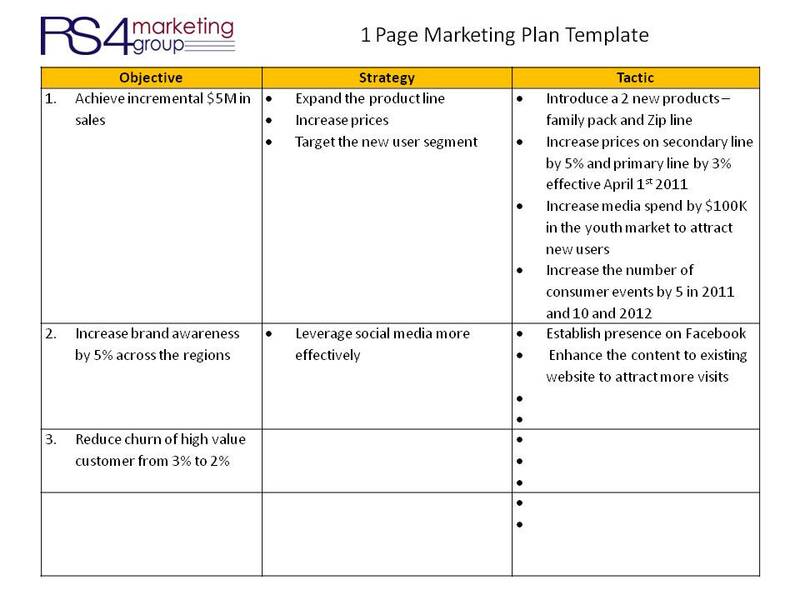 The plan has 3 parts: i) objectives, ii) strategy and iii) tactics. You can also add more detail later to make it more comprehensive but this will cover the basics and at least get you on your way. Objectives are the 3-5 KEY things you want to accomplish in the year, Strategy is how you plan to accomplish them at a high level and Tactics are the specific tasks that you will do throughout the year that gets you closer to your goal. This does not have to be perfect. It is meant as a starting point and to get you thinking about where you want to take the business. If your business is in decline or you’re looking for new areas of growth it will likely require more analysis or strategic thinking. This 1 page plan is a good discussion document to have and share with your employees in other parts of the company to make sure there is alignment on what you’re doing relative to the other teams. Every plan should have at least one or two new ideas every year that you want to try. Executing the same tactics every year will yield the same results, you need to keep things fresh. 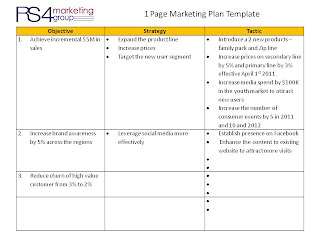 Hopefully this one page plan will get you on your way to a more disciplined approach to business planning.